Goodwill Industries offers a 20% discount to students and military personnel. The discount is valid on Tuesdays only with a valid ID at any of Goodwill’s 3200 retail stores. 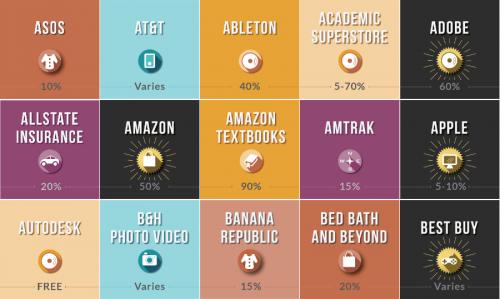 How does the Goodwill discount work? Goodwill is amazing. During college, it literally supplied most of my furniture including beds, couches, lamps and a cornucopia of kitchen tools. I also credit Goodwill for most of my fashion choices for a good 4 years. At the time, I never knew they offered a student discount. 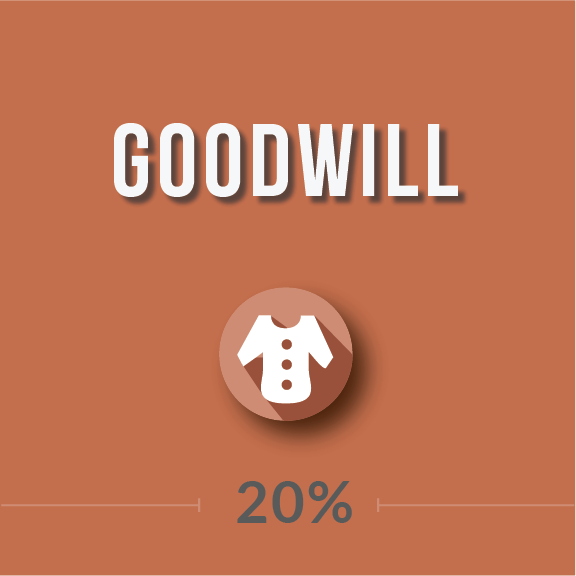 Goodwill’s student and military discount is good for 20% off your total purchase of anything in the store. You’ll need to show a valid ID to get the deal. Here’s the big caveat: the discount is only good on Tuesdays, so you’ll need to plan your shopping day in advance. But seriously, what are you doing on Tuesday besides going to class? Tuesday is one of the best days to shop as the store isn’t very busy, and they’ve restocked the store with new finds since the weekend. You can literally find almost anything at Goodwill. I once found a large screen TV for $20 that lasted over a year. Goodwill also operates an online store called Shop Goodwill which carries some of its best merchandise, including books, computers, and antiques. Unfortunately, your student discount is valid for in-store purchases only.